Welcome to the Temporary home of UCBC Darien. Our apologies for the inconvenience while our site is under construction. Order from our Breakfast or Lunch menus is easier than ever!! Click the button below to order using our handy Online Order Form. 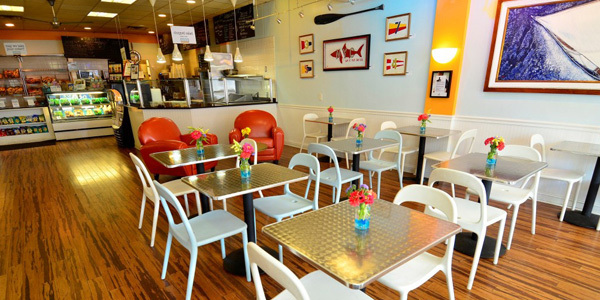 UCBC Darien serves breakfast and lunch daily with a full menu including bagels and muffins, specialty sandwiches and freshly chopped salads, and a wide selection of beverages – from coffee and hot chocolate to juices, sodas and iced tea products. We also make colored bagels for every occasion. UCBC bagels are so good, that they have earned “Best of the Gold Coast” many times since the award was created in 1997.